This interesting and instructive documentary is at times quite moving. It is about a courageous group of workers and trade unionists at a Rolls Royce factory in East Kilbride, near Glasgow in Scotland. Shortly after the brutal military coup by General Augustus Pinochet against the President of Chile, Salvador Allende in 1973, these workers led by John Keenan, Bob Fulton and Robert Sommerville, found out they some of the engines of planes they had at the factory to repair were being used in the war by the dictatorship against the people of Chile. In 1974 they decided to protest against this regime by refusing to repair the Hawker Hunter jets being used in the war. 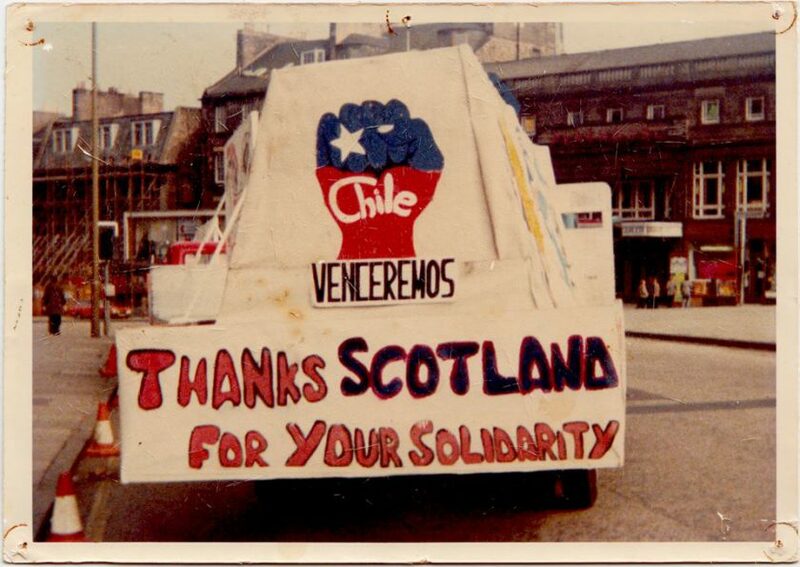 Nae Pasaran means ‘They shall not pass’ and that’s exactly what happened in Scotland as the group of workers showed their solidarity with the ordinary people in Chile. Director Felipe Bustos Sierra wanted to find out more and decided to find out whether the action on Scotland had any effect in Chile. He also wished to learn more about the leaders of the boycott in East Kilbride. The boycott lasted for four years but the workers had no idea how it had been received in Chile. Sierra found those involved in the war in Chile, both civilians and military personnel – and he interviews them in this film. After that Sierra interviews the leaders of the boycott in East Kilbride – organiser, Bob Fulton and his colleagues. This is the most effective part of the documentary as the men recall the time and then learn about the impact of their action in Chile. Their words certainly have an emotional effect on those hearing them, particularly when they learn about the torture many suffered and even more when they hear some of the Chilean people thanking the workers. In 2015 Keenan, Fulton and Sommerville received the Order of the Republic of Chile, the highest honour given to foreigners by the Government of Chile, for their efforts to preserve human rights. As they receive their medals, some of them have tears in their eyes, as do we watching.